All credit obviously goes to the team for creating a great company and product set, but also our customers for helping to co-design the GoCareer product and take the concept from drawing board to reality in just 12 weeks – we must also say thank you to the initial team of 12 students we worked with in our offices when we were just 6 people, who I know are going on to higher education or are already successfully employed in the sector. Well done to you also from New College Durham and Gateshead College. Wonderful day and glad to see if we win at the awards in June, but being nominated is a great achievement from a panel of experts who reviewed our submission. 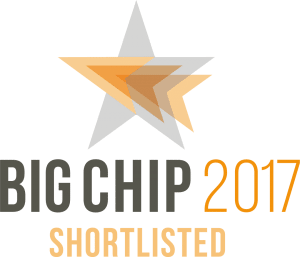 Well glad to say we won Most innovative use of technology for GoCareer at the Big Chip awards – well done to all involved in the project.